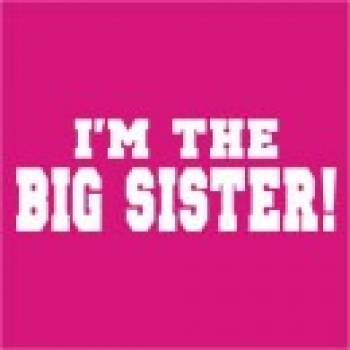 I'm the Big Sister- Custom Printed T-Shirt - APRINT for Custom T-shirts, Screen Printing, Embroidery personalising Workwear, Schoolwear. Our custom funny printed T-Shirts are available in a choice of colours. Please select the colours you require before adding to the cart.